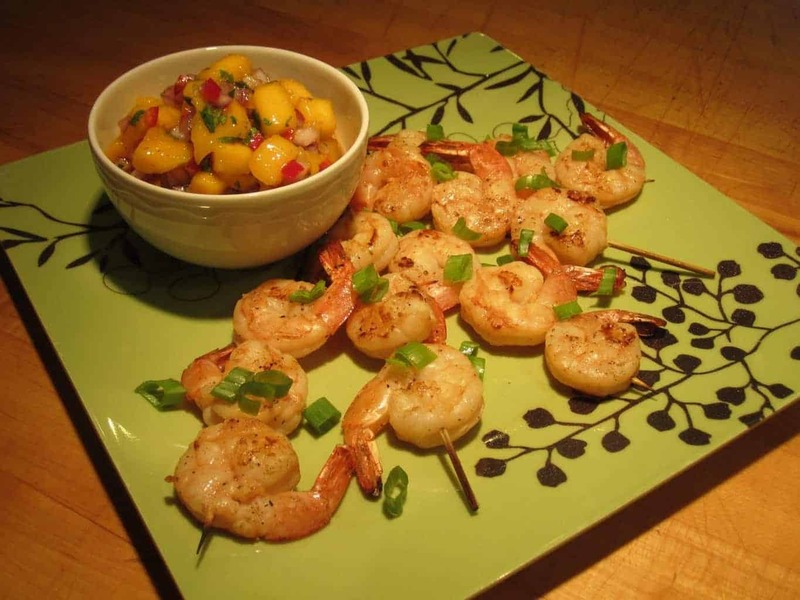 A fresh and tasty grilled fruit recipe, the pineapple caramelizes as it cooks to create the ultimate fruity salsa recipe for summer. The weather is slowly but surely starting to warm up here in the midwest which makes me so extremely happy! After the long, cold Michigan winters, I take full advantage of grilling season and will use any excuse to head outdoors to fire up the grill. When my friends at Kroger asked me to create a grilled fruit recipe, I knew right away I was going to take it in a savory direction. Don’t get me wrong, I love a beautiful grilled peach served with a scoop of vanilla ice cream but my salty tooth always wins. 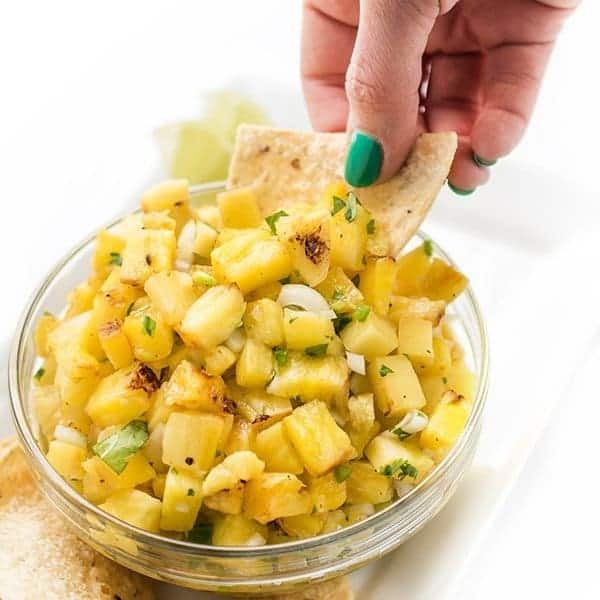 My favorite part about this easy grilled pineapple salsa is the caramelized, slightly smoky flavor of the fruit. 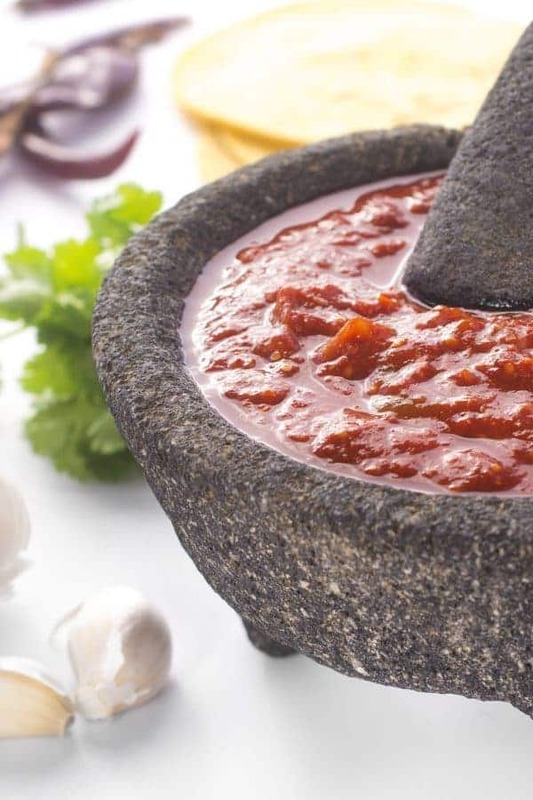 As the pineapple cooks, the natural sugars begin to caramelize which takes this salsa to the next level. 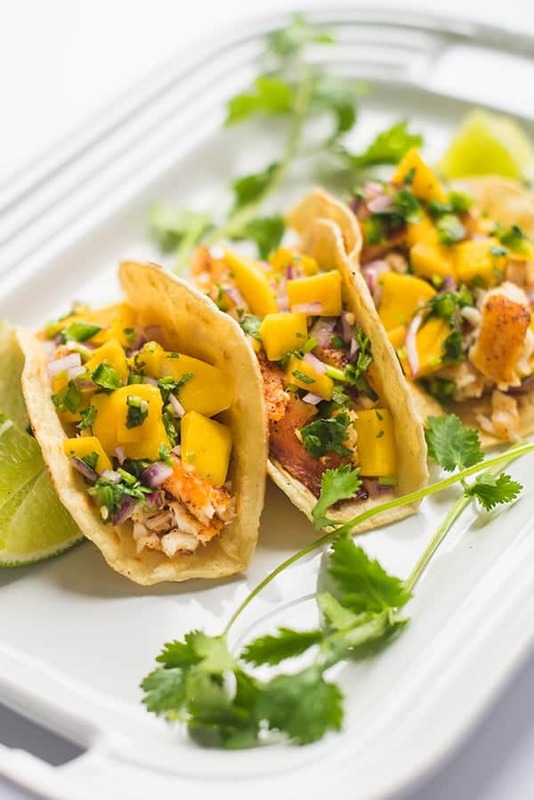 To balance the sweetness, I toss the pineapple with bright lime juice, fresh cilantro, diced onions and minced jalapeños. The best part? Everything in this recipe can be found very quickly in Kroger’s produce section. 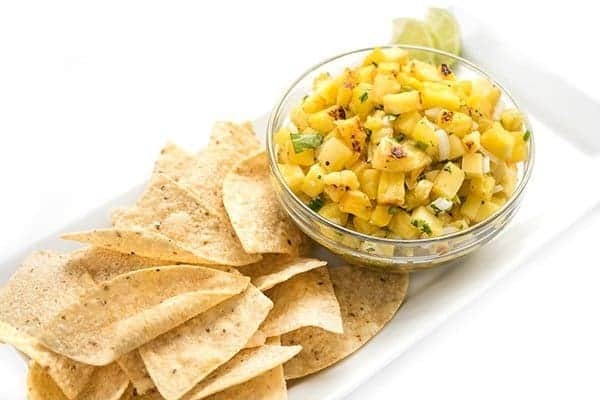 The end result is a perfectly well-rounded sweet, salt, sour and slightly spicy grilled fruit salsa that is irresistible with tortilla chips. Dig in! No forks required. Brush both sides of the pineapple slices with olive oil and sprinkle with salt and pepper. Grill the pineapple until caramelized on both sides, about 4-5 minutes per side, rotating once. Remove from grill and dice into bite-sized pieces. 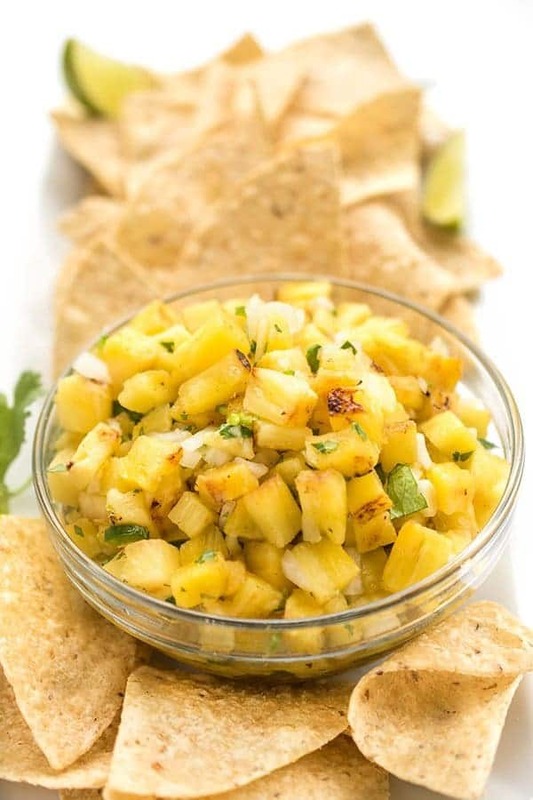 In a large bowl, toss together diced grilled pineapple with onion, cilantro, jalepeño and lime juice. Check for seasoning and add salt and pepper to taste. Serve with tortilla chips. 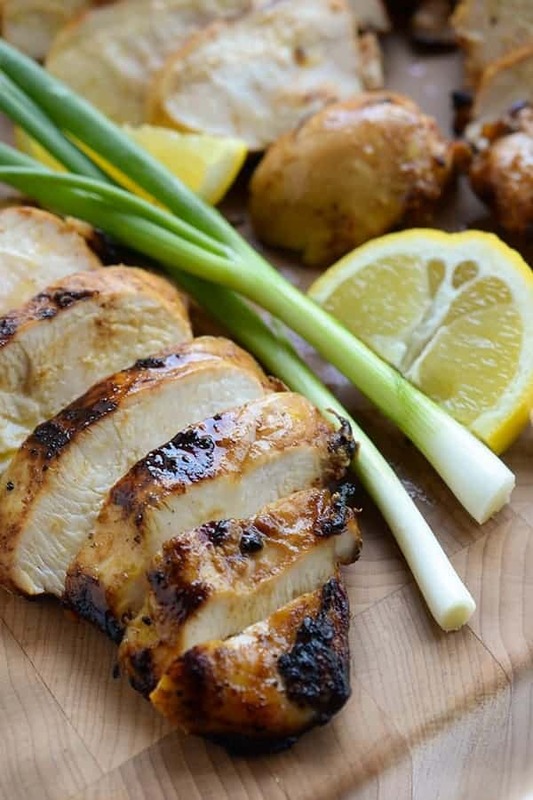 Check out my Pinterest board for more grilling recipes! 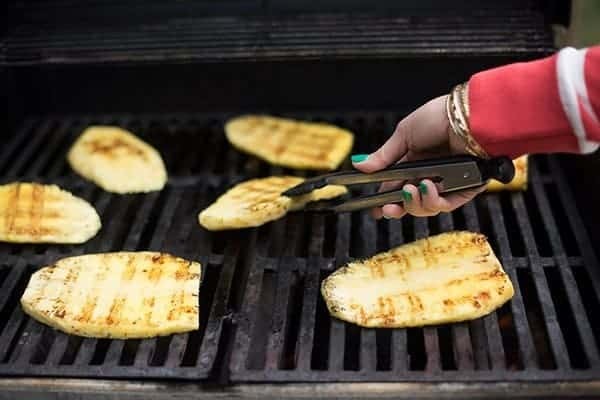 I totally agree – grilled pineapple is amazing! Can’t wait to use this on some tacos. What a unique salad! LOVE the grilled pineapple, Liz! Grilled pineapple is one of my family’s favorite things. LOVE the salsa!! I am 100% addicted to grilled pineapple! 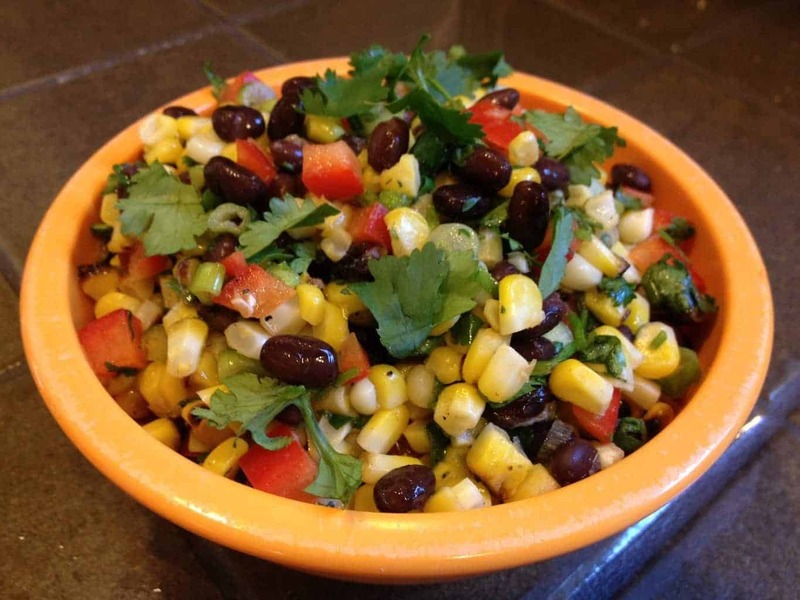 This sounds SO tasty and perfect to add to any protein for dinner!